Hariyali Dhani Camps & Resort is favorite of the travelers. Our professional staffs is proficient in fully satisfying the guests and never give them even an ounce of disappointment. Make a snapshot of your memories with us. 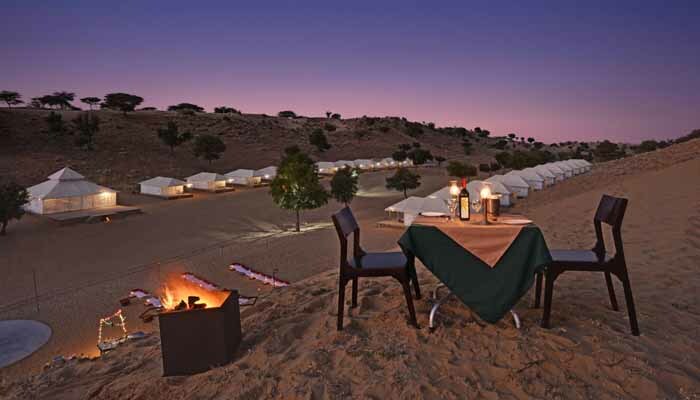 Here you will find the best rate and lavish services in one of the best resort in western Rajasthan. We will try to give you something more than a best which makes us feel proud. Hariyali Dhani is synonymous with natural environment themed hospitality since long time. The Hariyali Dhani has been serving international and local travelers. Hariyali Dhani Camp & Resort has emerged as a unique hospitality resort due to its commitment to provide guests with unique experience of Marwadi culture. The pride of Rajasthan and India Hariyali Dhani Camps & Resort can easily boast itself as a great promoter and preserver of traditional heritage hospitality of Rajasthani culture.